Kia Picanto Review 2019 | What Car? 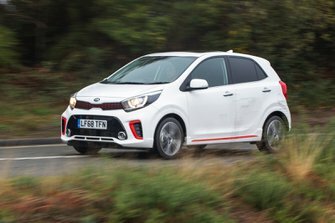 City cars, such as the Kia Picanto, are as popular as chocolate in the UK, and that’s the reason you’ll find most mainstream manufacturers offering one. Of course, a great city car needs to focus on giving buyers exactly what they want: seriously cheap motoring with as little compromise as possible on space, quality and driving characteristics. And the Picanto's job isn't easy because it goes head to head with a wealth of talent that includes the Hyundai i10, Seat Mii, Skoda Citigo, Suzuki Celerio and Volkswagen Up. Kia's cheapest car comes with five doors as standard, but you can choose between three petrol engines and a manual or automatic gearbox. There’s even an SUV-aping X-Line version, although it’s more about looks than real rough-and-tumble driving. City cars may be relatively cheap to buy, but cheap doesn’t necessarily mean cheerful. 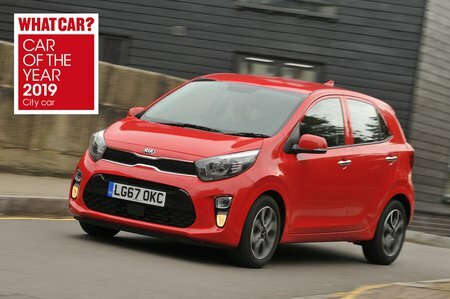 Does the Picanto prove well rounded enough to see off its best rivals? We'll tell you all you need to know over the next few pages. And, don't forget, if you want to buy a Picanto, then be sure to check out our new car deals by clicking here. You could save a packet without any awkward haggling.